Press Release (ePRNews.com) - HOLLYWOOD, Calif. - Jul 16, 2017 - The deadline to submit films is August 11; the festival takes place September 14 – 24. 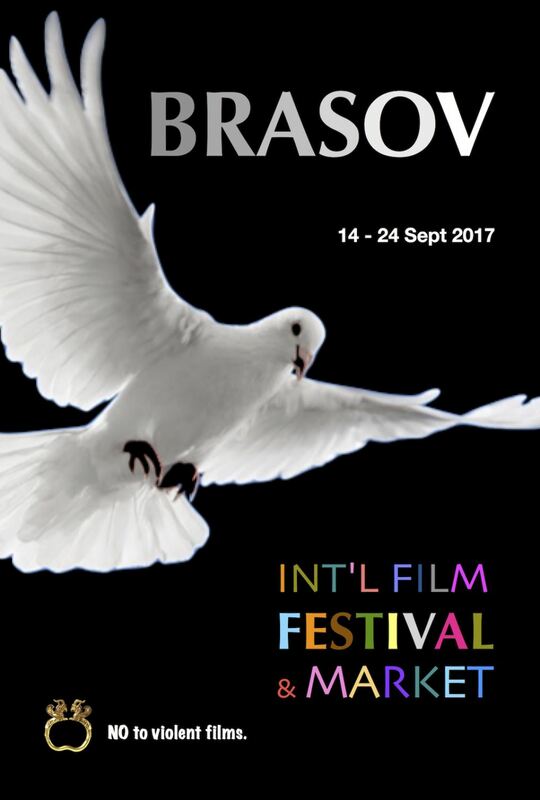 Brasov International Film Festival & Market is the most important and renown nonviolent film festival in the world. The festival accepts feature films, documentaries, shorts and animation. All films must be nonviolent (no horror, stabbing, shooting, murder or blood induced scenes). Films or documentaries where violence is implied for the purpose of documenting a social issue or an historical event may be accepted. This year, the festival celebrates its 6th consecutive edition and, for the 2nd year in a row, the festival is being held exclusively on-line. The Official Selections’ Lineup will be communicated on August 28. The selected films will be featured in Daria!, the arts, entertainment & business magazine published annually since 2005. The 2017/2018 issue of the magazine will be out at the end of August. The festival is IMDB recognized; the awards will be listed there and linked to each film’s respective page. Some promotional packages are still available for sponsors and the prices range between €250 and €3,000. The festival gives special thanks to its media & marketing partners: Global Film Studio, Toronto Pictures, The Matthew Martino Benevolent Fund, iPitch.tv and InkTip. In 2016, the two founders made film and internet history by bringing the Festival on-line exclusively and allowing, for the first time, the world viewers to enjoy all the selected films from the comfort of their homes on its Official On Demand VIMEO Channel. Starting in 2017, the films selected to participate in the Festival are guaranteed a distribution contract proposal from Global Film Distribution, a Division of Global Film Studio Inc.
“We want that the rights of women and children are respected. We want to fight intellectual pollution, stupidity, racism and discrimination. We want to show that nonviolent films can be commercially viable and can contribute to achieving a better world. We want to win the fight against ignorance and bigotry. We want to use the art of film as a weapon in order to improve the viewers’ lifestyle. Source : Global Film Studio Inc.